Our aim is always to deliver 100% satisfaction and product performance in the field – reliability has been key to our success. That is why every project is 100% tested against your performance criteria before it leaves the factory. GSPK Design is fanatical about reliability. Our stage by stage development process, ensures that we have a rigid Functional Specification before we commence manufacture. This functional specification is then the benchmark for every single product that goes through test. GSPK Design can also advise and help you gain type approval if required eg EMC and LVD approval. This same process is applied to low or high volume manufacturing. 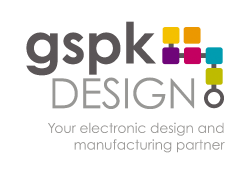 GSPK Design has flexible in-house manufacturing capabilities, for the production of individual working prototypes, or finished products into their thousands using our Far Eastern and UK manufacturing contacts. Our quality management process extends into full scale manufacturing, where our aim is always to ensure that our products perform, when and wherever you need them to.